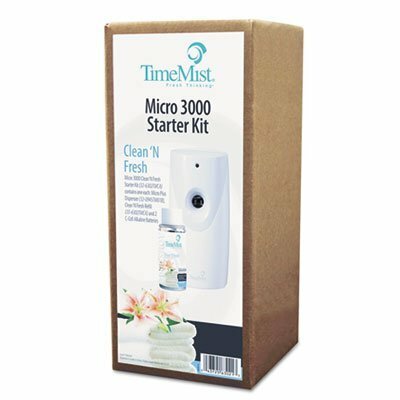 Metered micro plus dispenser shares the same features of a Time Mist Plus at half the size. Automatic spray setting for 7.5-, 15- or 30-minute intervals. Fragrance intensity is adjustable with light, medium and heavy settings. Features programmable start/stop times. LED indicator allows you to gauge when a change in batteries or new refill is needed. Lockable.